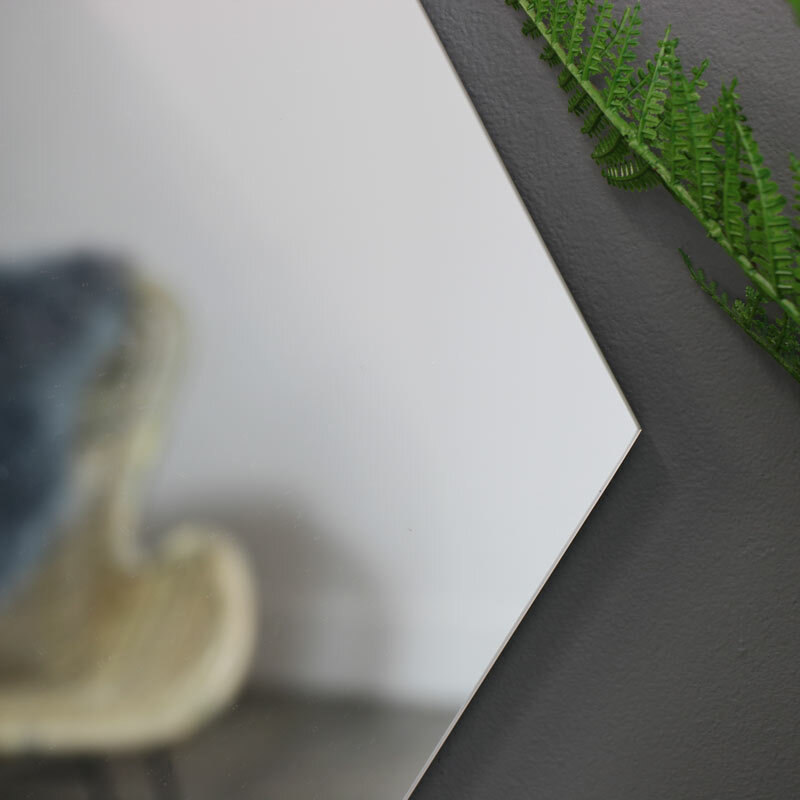 Our Frameless Hexagon Wall Mirror is the perfect quirky mirror that will look fabulous in any style interior. 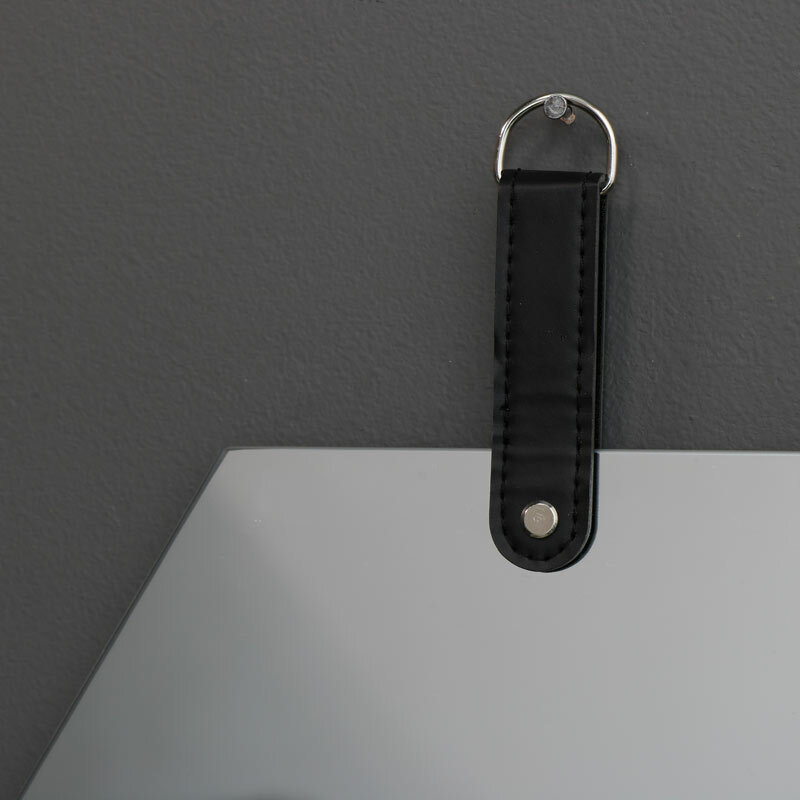 The hexagonal shape will stand out against any wall and look so sleek with its frameless edging and black leather effect strap, whether placed in the hallway, bedroom or living room it will really make a statement. This is a practical and stylish home accessory that will suit every room and colour scheme. 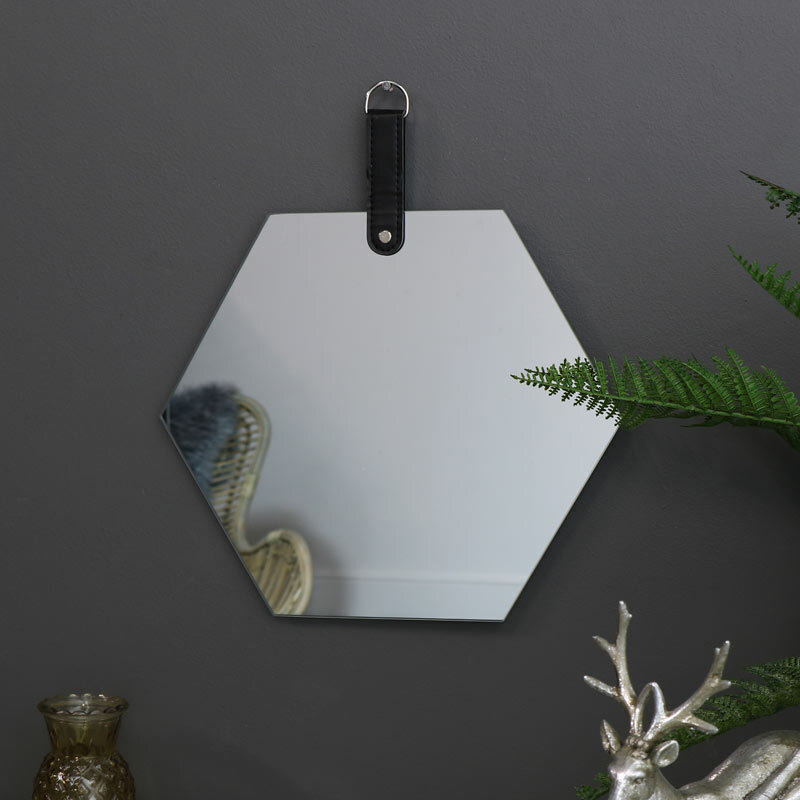 Frameless design mirror in a hexagon shape, hangs from a metal d-ring attached to a black leather effect strap attached to the mirror.